• Room with a view: the Giddys (Linda and Larry) feel blessed to live in this part of the world. WE fell in love with this part of Victoria in 1997, while travelling back to Melbourne along the South Gippsland Highway, after a weekend away. We took a detour to Agnes Falls, just north of Toora, and were wowed by the absolute beauty of the area. We had visited Wilsons Prom years before, but had never truly explored this southern-most corner of Victoria. But when we finally did come back, we fell in love. Magnificent sunrises, spectacular sunsets, green rolling hills with unforgettable views to Wilsons Prom and wildlife galore. We discovered native forests with waterfalls and walks and hikes for all levels of fitness. And deserted beaches stretching as far as the eye could see. We discovered great fishing, surfing and, unexpectedly, whale watching. And then there were the wineries and cafes, the vibrant arts communities and seriously great fresh food. It was all here, and we couldn’t believe that we didn’t know about it before. We knew then that we had to be here and spent every spare weekend coming to Foster to search for a place that we would one day call home. We couldn’t believe our luck when we found a 2.5-acre paddock with stunning coastal views and a cool, deep gully with waterfalls, wallabies and other amazing wildlife. It was a piece of paradise that had been on the market for two years and the owner was keen to sell. We didn’t know what sort of house we would build but one thing was for sure, every room had to have ‘that’ view. So, working with a local architect and builder we set about designing and building our ‘forever’ home. That was 20 years ago, and while work kept us in Melbourne for a few more years, our heads and our hearts were firmly here. Friends used to say that our home would make a great B&B, but we hadn’t built it with that in mind and for years we pushed the idea away. But then one day it just felt right. So, in late 2014 we opened our doors to guests from all over the world and have been privileged to welcome hundreds of truly wonderful people to our piece of paradise ever since. Without doubt it’s the draw of Wilsons Prom that brings visitors to this corner of Victoria, but few could comprehend its majesty until seeing it first-hand. We’ve lost count of the number of guests who have told us that their travel literature just didn’t do this part of Victoria justice. 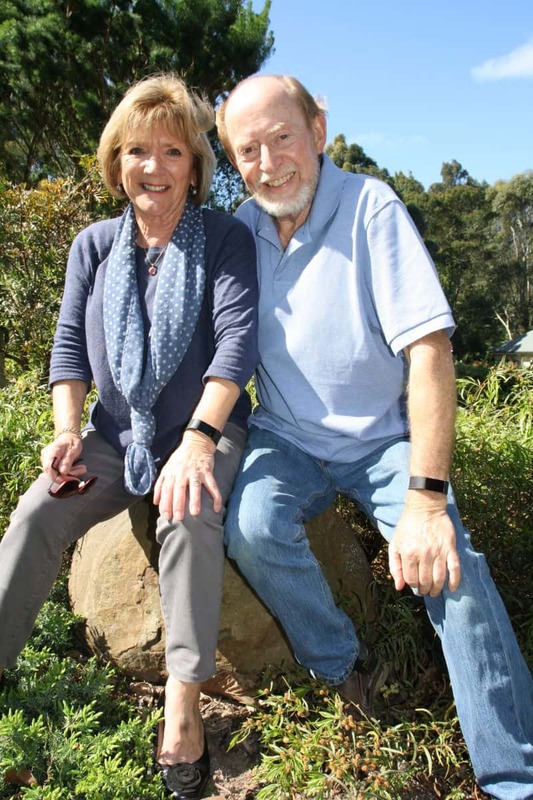 Like us 20 years ago, they had no idea about Tarra Bulga, Agnes Falls, Walkerville, Cape Liptrap, Waratah Bay – or the vibrant communities of Foster, Fish Creek, Toora and Meeniyan. They are astonished at the landscape, the views, the wildlife and the range of things to see and do and they so often regret not being able to stay longer. When they leave, they say that that is one of the most beautiful parts of Australia – and we agree. How lucky we are to live here.